The Richard Tom Foundation (RTF) was formed in response to the tragic loss of Richard Tom on April 26, 2015. On a quiet Sunday morning, Richard began a bicycle ride from his home in Hinesburg and moments later, was struck by a speeding and impaired driver. Richard was highly regarded and deeply loved within the Vermont cycling community and beyond. Whether riding with friends and sharing his love of cycling, leading domestic or international tours with Vermont Bicycle Tours or helping a child find the perfect bicycle while working at Earl’s Cyclery and Fitness, one could always count on Richard’s vibrant and positive outlook, his graciousness and, best of all, his genuine sincerity to help any and all. RTF was formed as a 501(c)(3) charity organization to honor Richard’s life and legacy through cycling events, to promote safe cycling and driving, and offer scholarships and equipment for children in Vermont. The RTF Board of Directors is requesting support for Richard’s Ride, scheduled for May 18, 2019. 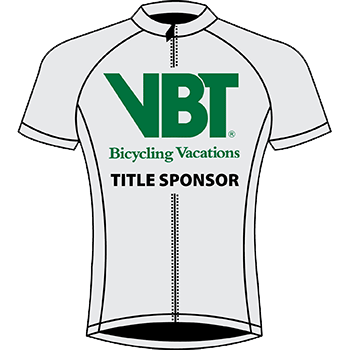 The ride will attract cyclists of all ages and their families and friends from a wide geographical area in Vermont and beyond. Through this event, RTF intends to promote the health benefits of cycling and encourage the spirit of fun and adventure that was a significant part of Richard’s life. The Board is seeking financial support to help cover expenses related to ride safety and equipment support. Cycling brings economic benefits to the area: Based on The State of Vermont Agency of Transportation (VTrans) data, the economic effects of cycling and pedestrian infrastructure, program expenditures, event tourism, and cycling and pedestrian‐oriented businesses in 2009 was $82.7 million, supporting over 1,400 jobs. In addition, bicycle and pedestrian activities in 2009 amounted to a net positive $1.6 million of tax and fee revenues for the State of Vermont. The RTF Board expects that this event will directly and indirectly endorse your business in a positive light. Furthermore, your organization will be highlighted as a community leader that supports an important event with far-reaching impacts on the cycling and a larger community of friends, families, neighbors and businesses. 1) A logo link to your website will appear on the RTF home page. staging area of Richard’s Ride. 4) Free entry for three riders at Richard’s Ride 2019 including t-shirts. 4) Free entry for two riders at Richard’s Ride 2019 including t-shirts. 3) Free entry for one rider at Richard’s Ride 2019 including t-shirt.